My mother used to make puddings in the old Vacola bottles that are now hard to find so these jars were a great discovery. Perfect for old fashioned puddings so the old recipes can live on! The clips and seal are much easier to work than the old Vacola bottles too which is a bonus for my old arthritic hands! Very strong jars. Perfect for freezing soup. The tapered edge allows the frozen food to slide out easily. 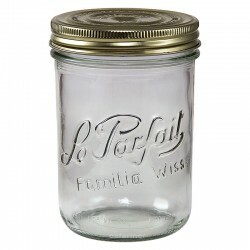 580ml / 1/2 litre Weck Preserving round tapered jar. Takes Large lid and seal. 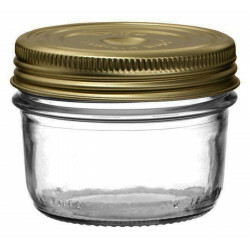 The jars have wide openings for tidy, easy filling.